© Patrick McGee. All rights reserved. A summer day has brought a large number of people to the San Clemente beach, mainly accessed by Union Pacific's main line served by Amtrak Surfliners and Metrolink. 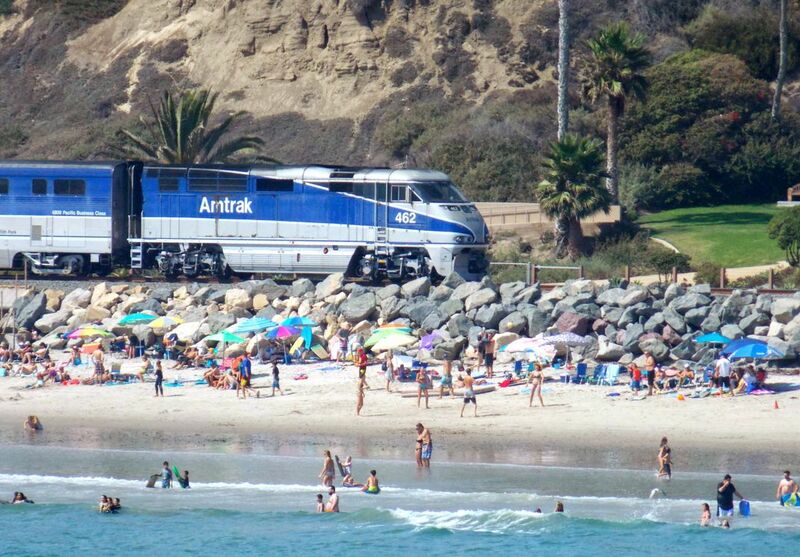 An Amtrak F59PHI is seen working to bring more visitors to the beach. Date Uploaded: Nov. 30, 2015, 10:22 p.m.